There will be live painting, art exhibitions, activities, music, drink and loads of other fun stuff, all happening in this unused office space! 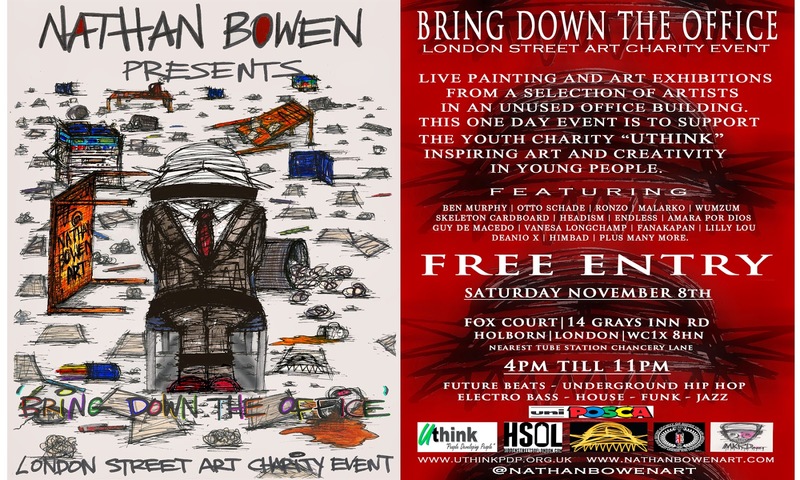 Also supporting the charity Uthink, this one day event is aimed to raise money for individuals who are at risk or disadvantage, we want to create opportunities and positive art to help these people achieve their goals. Everybody is welcome, so please come on down and support 'Bring Down the Office'.